Pompeii is one of the most famous and important archaeological ruins in the world, and among the most visited cultural sights in Italy. This ancient Roman city just outside Naples was buried in ash and scorching rock from the eruption of Mount Vesuvius in AD 79 (more on that below), and remained more or less unexplored for over 1000 years. In the 18th century, official excavations began, and the site became a popular stop on the Grand Tour between Naples and Sorrento; today millions of visitors walk the paved Roman streets and admire the colorful frescoes and intricate mosaics decorating many of the unearthed villas and public buildings. 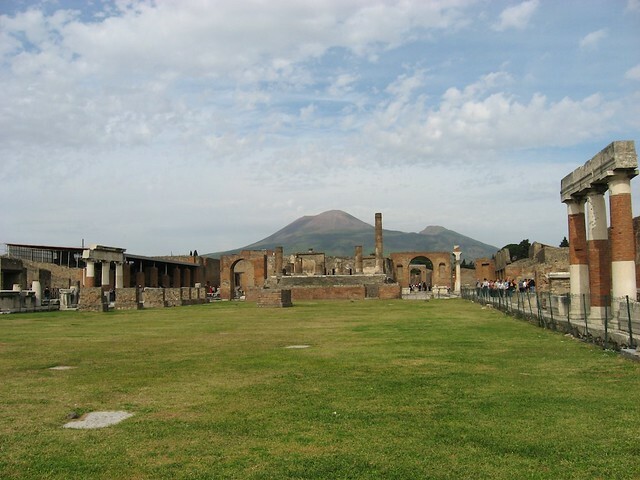 What most of these visitors don't know, however, is that the Pompeii Archaeological Park is an active dig, with new discoveries being made almost weekly that shape how historians and researchers imagine life in the city and in the 1st-century Roman empire in general. Almost a third of the Pompeii has yet to be excavated but 2018 has been a year rich with new finds as the two-year Great Pompeii Project kicks off, the most intense period of study in the ruins since the 1950s. Archaeologists have begun a large-scale excavation of Regio V, a stretch of land between the House of the Silver Wedding and the House of Marcus Lucretius Fronto and a number of important clues to the past have been uncovered over the past year. Just this week, archaeologists uncovered a magnificent fresco depicting the Greek myth of Leda and the Swan decorating an internal wall near the entrance to an elegant villa on Via del Vesuvio, in the Regio V. This somewhat suggestive depiction was discovered just days after that of an equally eyebrow-raising fresco of the Roman fertility god Priapus weighing his member on a pair of scales. Though it was found near the Leda fresco, the depiction of Priapus is unfortunately in much worse condition. Venice has been dominating the news this month, and not only for lighthearted reasons like the Venice Film Festival and the Biennale. 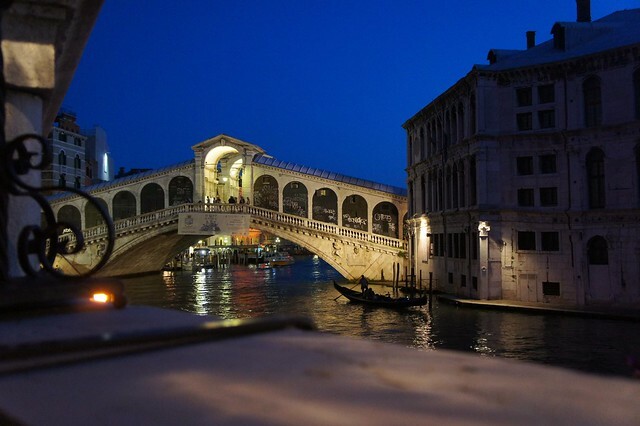 La Serenissima is under siege from an increasing number of tourists each year, reaching numbers of daily visitors in the summer months that are unsustainable both ecologically and socially. As mega cruise ships and vacation rentals have moved in, historic shops and long-time residents have moved out, diluting the uniquely Venetian charm that has attracted travelers for centuries. That said, don't despair! Venice will always be Venice, and the city is trying to preserve its social fabric by making a number of changes, including limiting the size of cruise ships allowed to dock and the percentage of city residences that can be used for short-term rentals. Slowly the pendulum will swing back toward a vibrant and thriving Floating City, where future generations of visitors and residents alike can bask in its magnificence. In the meantime, there are ways to visit Venice that support rather than harm its local economy and traditions, giving the pendulum a little nudge in the right direction. Be sure to stay at least a few days when visiting, rather than just stopping by for a day trip. Take in the famous sights, of course, but take time to wander the quieter back streets and explore the smaller churches and museums. 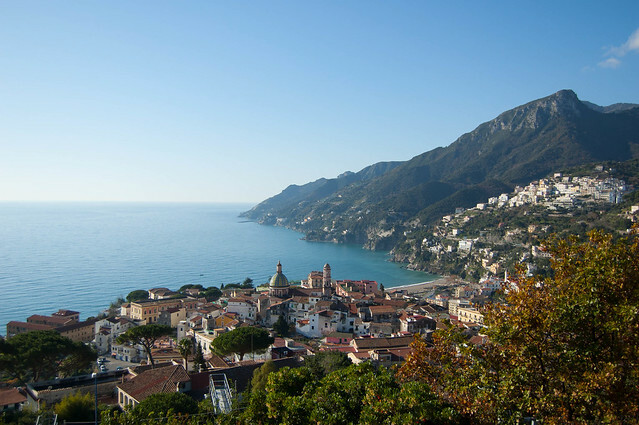 Sample cicchetti, take a gondola ride, and head to the outlying islands. And, of course, avoid purchasing cheap tchotchkes, and choose beautiful, one-of-a-kind mementos from Venice's many artisan workshops and ateliers. 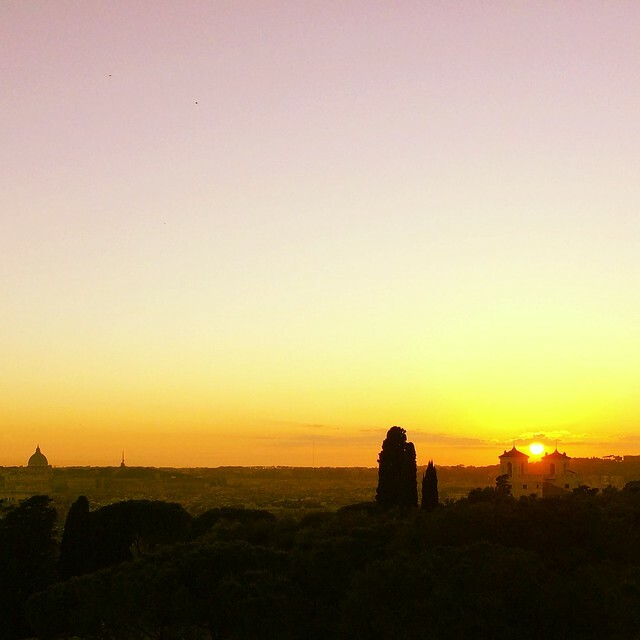 The month of September in Italy has been glorious: temperatures have plummeted from the record highs of the summer heatwave that brought much of southern Europe to its knees, a few heavy storms have washed the dust off the countryside and brought a pleasant crispness to the air, and the each evening's sunset seems to be more breathtaking than the one before. This is the golden moment of autumn, with balmy days and cool evenings perfect for outdoor touring. As the season moves into October and November, however, the weather will gradually become less ideal for spending long days outside. 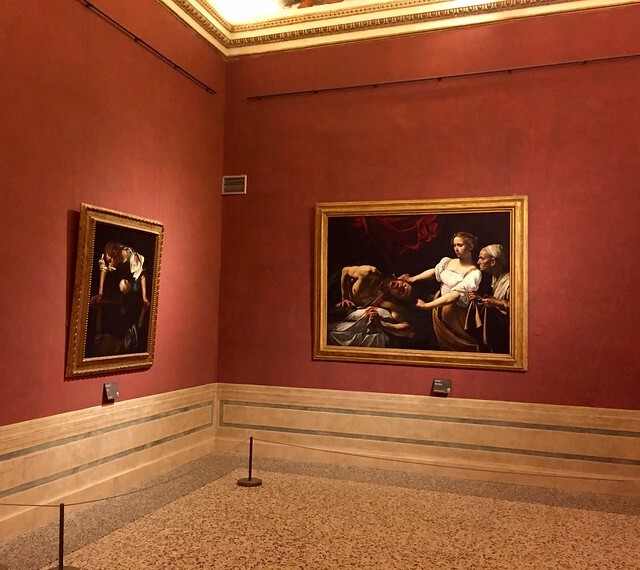 Nippy winds and cold showers that hint at the oncoming winter will make you want to duck inside to dry off and warm up...luckily, there are a number of excellent art exhibitions planned this fall in museums across Italy that are perfect for coming in out of the cold. Until very recently, Italy was not a country known for its mixology. With the exception of a limited number of homegrown aperitifs, your best bet for an evening drink was a glass of excellent local wine or, after dinner, an artisan digestivo. That has changed over the past few years, as the global cocktail trend has reached Italy and speakeasies and cocktail bars have come to replace the neighborhood café as the hip spot to unwind and socialize in the evening. It's that time of year again when festive menus are planned, hostess gifts purchased, and holiday wish lists compiled...which is why it's the perfect moment to update our annual roundup of what we've been drinking and collecting during the last 12 months of our Italian travels. Our past editions have focused on the quintessential Italian beverage: wine. Though domestic - or, more accurately, regional - reds and whites are still by far the most popular choice in Italy, the explosion of Italian craft beers over the past few years has drawn our attention and we have been impressed with the excellent brews that are on the market. 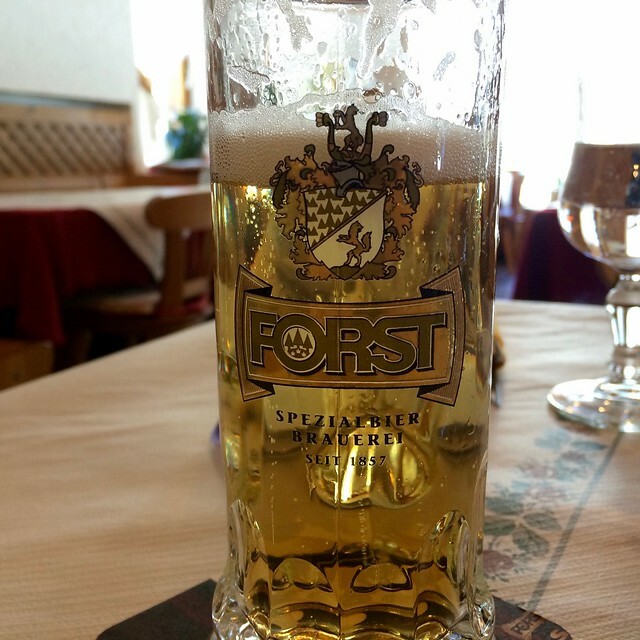 So the next time you are visiting the Bel Paese, or are looking for a unique gift or pairing during the holidays in the US, consider trying one of Italy's creative artisanal beers and be prepared to be pleasantly surprised! Fall seems like the perfect season for wine, perhaps because the crisp evenings call for cozy fireplaces and warming reds, and perhaps because wine is so closely linked to the months of September and October, when most vineyards in the northern hemisphere are harvested and the delicate process of fermentation begins to work its magic on the crushed grapes. 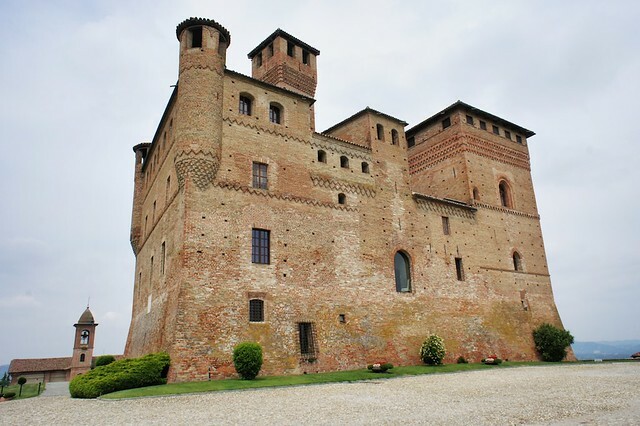 Though arguably all destinations in Italy could be considered a Shangri-La for lovers of excellent food and wine, nowhere is this more true than the Langhe-Roero and Monferrato wine country of southern Piedmont, just an hour by car from the bustling metropolis of Turin but worlds away in both pace and scenery. Wine is much more than something to sip, an accompaniment to a meal, or a gateway to an evening of merriment. Great wine can transport you to places you’ve been – that enchanting pasta you can’t get out of your head or the calming view from the terrace of your favorite hotel – and places you want to be – that villa rental you’ve had your eye on or that bistecca fiorentina you can’t wait to sink your teeth into. That’s why we like to keep a stock of excellent, hand-picked bottles of wine on hand. But if you’re anything like us, your stock may be hurting after the holidays. Over Christmas, we drained one of our favorites, a double magnum of Fanti’s Brunello di Montalcino, and can’t wait to stock up on some more. With the new year come so many new reasons to celebrate, from the friendly rowdiness of a super bowl gathering (we’ve found that Italian wines work surprising well with chicken wings!) to the alluring calm of an evening together for Valentine’s day. Though you’re not allowed to call it champagne outside France (in Italy it’s just metodo classico) Giulio Ferrari’s dry, crisp Extra Brut is our favorite Italian champagne. And it’s built to last! You can cellar this Extra Brut for up to twenty years. The highly flavored Extra Brut can range from brioche to chocolate to almond to cherries and cream depending on the year. As an added bonus, you don’t have to go to Trentino to try the whole Ferrari product line. 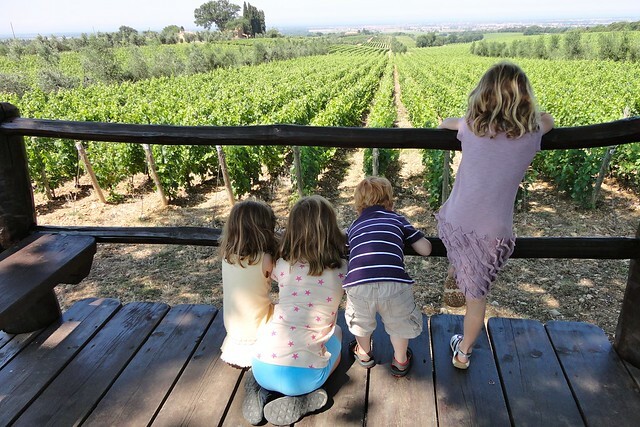 The Lunelli family, owners of the Ferrari brand, recently started producing Montefalco wines just outside of Bevagna in Umbria and their sparkling wines are available for tasting. When a renowned red wine producer in a primarily red-wine-producing appellation puts out a white wine, it’s worth a second glance. Grechetto has been grown in Italy since ancient times, but this Umbrian specialty is now regarded as one of Italy’s top white wine grapes. This excellent (and affordable) Grechetto bursts with fruit flavors and has a touch of sweetness that is well balanced by zesty crispness. Antinori is literally a legend. 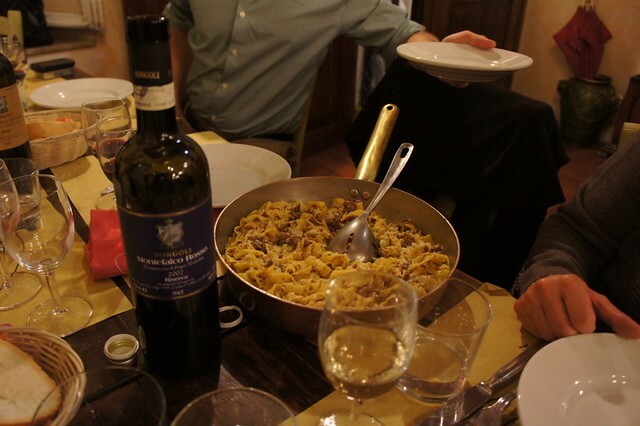 The family has made wine for nearly 900 years and helped pioneer the Super-Tuscan revolution. But their Cervaro della Sala is, quite simply, one of the great white wines of Italy (perfect for cheering up a friend or brightening any occasion). Made in Umbria from 90% Chardonnay and 10% Grechetto grapes, the Cervaro seems light, but it’s built to age as well. 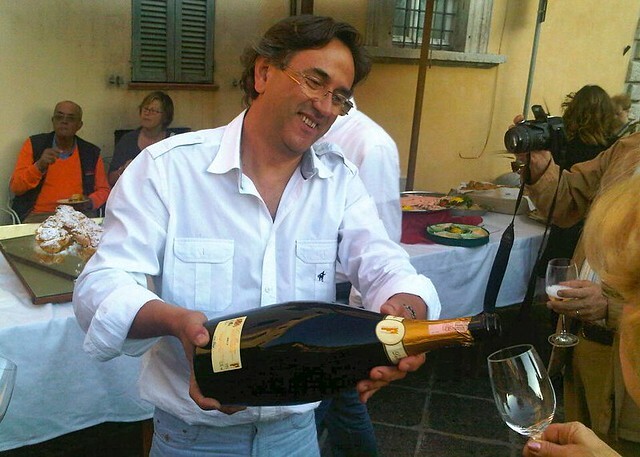 We first became acquainted with Ca Lojera because their owner is a huge opera fan whose stand at Vinitaly is decorated with a giant photo of Maria Callas, but we’ve put their Lugana into regular rotation during the summer because it’s a good everyday white. Produced on the southern shores of Lake Garda from 100% Trebbiano di Lugana grapes, the Lugana’s floral and fruity nose makes it a perfect pairing for a subtle pasta primo, such as the goat cheese and pumpkin ravioli we served it with for our first expat Thanksgiving dinner. We also popped open a 2003 Corbezzolo for our first expat Thanksgiving, but unlike the light, crisp Lugana, this wine is meant for hearty food. We served it with mashed and roasted root vegetables that night. Podere la Cappella is a small vineyard that makes Chianti Classico in the bad years and standout Super Tuscans in the good years. Our clients love visiting this estate because it is the absolute embodiment of a hidden gem. We discovered this wine in 2006 on a visit to Verona in a simple osteria. (Where, by the way, Maria was a bit put off by the sheer amount of horse meat on the menu.) A blend of Corvina Veronese, Rondinella, and Sangiovese, the Palazzo della Torre stands out because 30% of its grapes are harvested late. This unusual technique lends a surprising sweetness to this red. You can find it readily in the U.S. It saved our dinner in Verona for Maria. The Fongoli family is among our oldest friends in Italy. They are also one of the oldest commercial producers in Montefalco and we've spent many holidays and special occasions with them. It doesn't hurt that they produce stellar wines. Their Rosso di Montefalco Riserva combines the best characteristics of Montepulciano, Merlot, and Sangiovese grapes, with depth and richness from Umbria’s darling, the Sagrantino grape, that has catapulted the region’s wines to global status. Some of our favorite dining experiences in Italy have been spent at our dear friend Salvatore Denaro’s highly-acclaimed, but now-shuttered Il Bacco Felice. While Denaro maintains close relations with many local wineries, the 2008 Castel del Monte Rosso Vigna Pedale Riserva Torrevento he served remains one of our favorite reds. This wine comes from Puglia, is affordable and was a staple at many a dinner party when we lived in Germany. It might not be available in the U.S., but grab it if you find it. 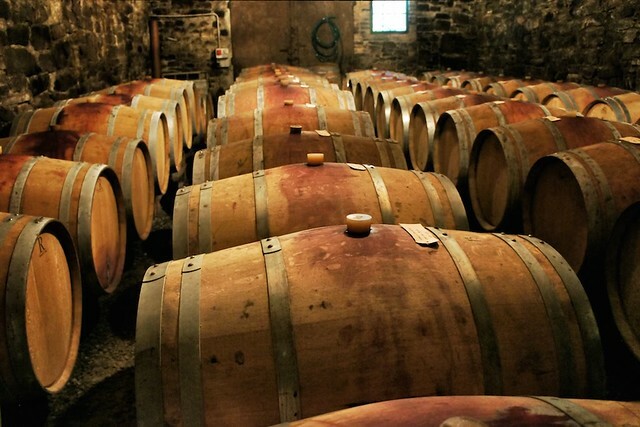 And if you’d like to visit vineyards, vintners, and their vintages in person to select you own house wine, let us know. Italy has so many hard-to-find-in-the-U.S. wines that can make your cellar stand out. And we know many of Italy’s most prestigious wine makers personally. It’s our pleasure (and theirs) to share these wines with you.